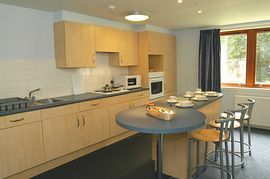 University of Glasgow accommodation is great value for money. It really is that simple. Whatever your reason for visiting Glasgow, we offer you a comfortable and refreshing night’s sleep at a price that won’t break the bank. 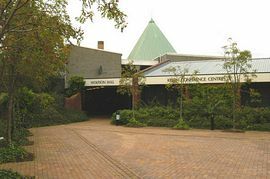 For us, low prices don’t mean low standards and so we will never compromise on the quality of our accommodation or the level of service you receive from our helpful and knowledgeable staff. 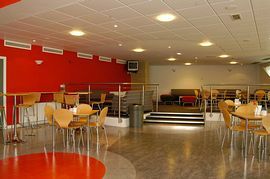 With the vast array of accommodation options we have to offer, we are justifiably confident that we have something to suit all budgets and requirements. 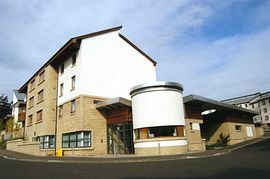 From 5 bedroom apartments through to en-suite or standard single and twin rooms with either full Scottish breakfast (Wolfson Hall) or complimentary muffin and fruit juice (Queen Margaret Residence), our accommodation is flexible, affordable and has invaluable extras such as free of charge laundry facilities and free off-street parking all thrown in for good measure. Couple this with ideal locations to ensure you enjoy the best of both the bustling city centre and the cosmopolitan West End, we are sure that you will agree that University accommodation is well worth considering! 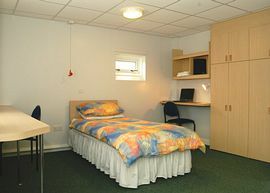 Please visit our website at www.cvso.co.uk for full directions to our residences.